AOM Australia and Sydney University have received a joint research grant from Innovation Connections. The grant will allow for a 6 months full time research project to be implemented starting in October 2017. Innovation Connections is a Federal Department of Industry, Innovation and Science scheme aimed at providing small and medium sized businesses with access to expert technology advice to address technology and knowledge gaps, and collaborate with the research sector in developing new ideas with commercial potential. 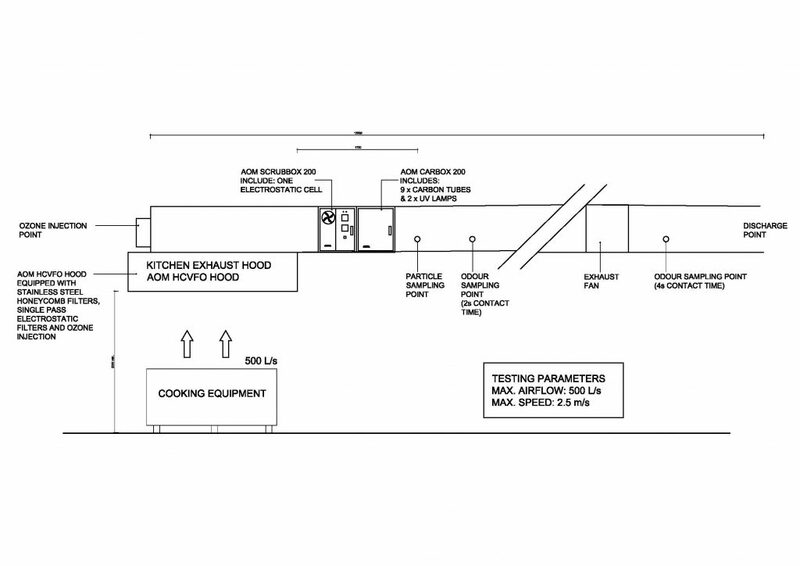 Generate improved understanding of the characteristics of commercial kitchen exhaust. Based on works which have been started by ASHRAE to determine the characteristics of commercial kitchen exhaust. The project will study AS1668.2-2012 Type 4 (high grease) and Type 5 (solid fuel) cooking exhaust. Design and implement a standardised testing method to test the efficiencies of filtration equipment on commercial kitchen exhaust. This is also derived from works which have been started by ASHRAE. For example, current filtration standards for electrostatic precipitators often used in commercial kitchen exhaust filtration are based on dust spot efficiency tests (MERV) which have not been proven to correctly characterise commercial kitchen exhaust. The project will also look to include efficiencies on odour mitigation which has not yet been studied. Testing of filtration efficiencies of the main type of filtration technologies currently found on the market. Testing will aim to determine the filtration efficiencies on grease particles, smoke particles, odour as well as solid fuel contaminants using a range of filtration technologies including: grease filters, UV lights, Electrostatic precipitators, Carbon filters and Ozone injection. Please follow AOM Australia on Linkedin to get updates on results and outcomes or check out our website over the course of the next 6 months.